With the recent release of the 128GB iPad 4, it seems a safe bet that Apple won’t announce let alone ship the iPad 5 anytime soon. In fact, “knowledgeable sources” think the September-October timeframe is much more likely. That gives the Apple rumor mill a very long time to cogitate, spin and just plain invent or, as is the case here, render things about the mothership’s next-gen tablet. It is unsurprising then that MacRumors has published a series of iPad 5 renders showing how the hotly anticipated device will look. 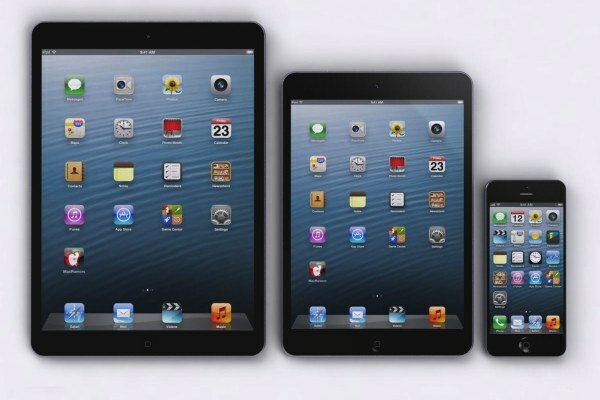 These the designs are based on an earlier rumor that the iPad 5 will inherit the iPad mini’s thin bezel, chamfered edges and thinner body design, thought to be 4mm shorter, 17mm narrower and 2mm thinner than the current iPad 4. Indeed, spy photos of the iPad 5 and iPad mini 2 back shells support the notion. For what it’s worth, the iPad mini itself borrowed these characteristics from the iPod touch, which has been praised for its svelte, hand-fitting design. Although some initially speculated that the iPad 5 and iPad mini 2 with Retina display would arrive in the traditional March launch timeframe, currently betting has Apple delivering updated tabs just ahead of Christmas in September or October. What else? Assuming a slimmer, narrower enclosure, Apple will need to put major effort into updating the iPad 5’s internals, as well, though the rumor mill to date has nothing to offer on the subject. That said, there is speculation that Apple will deliver 802.11AC “gigabit wifi” in the iPhone 6. Should that come to fruition there’s little doubt that the iPad 5 will offer it, too. 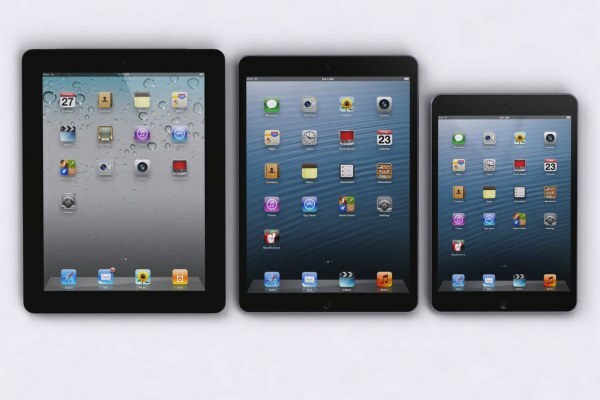 What specs and design features would you like to see in the iPad 5?